From the makers of VFR1200F here is the new baby. 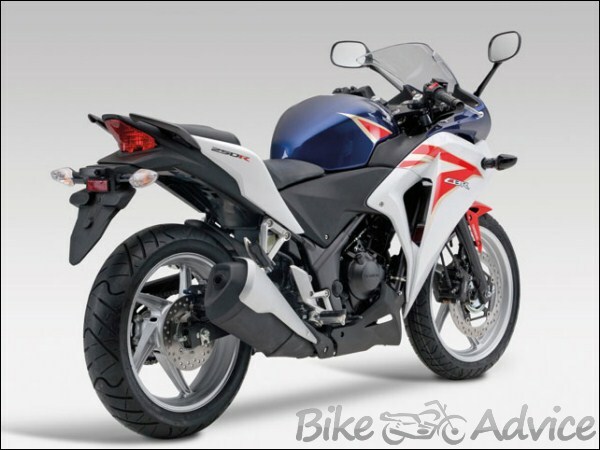 Honda CBR250R is a 250 cc bike from Honda to challenge world’s best 250cc bike Kawasaki Ninja 250R. New 2011 CBR250R is a 250 cc bike equipped with traditional CBR qualities like performance, dynamic behavior and perfect ease of use. The CBR250R is designed to meet the needs of the most demanding riders. Honda said that the concept behind developing CBR250R was ‘Sport Quarter for One World’. 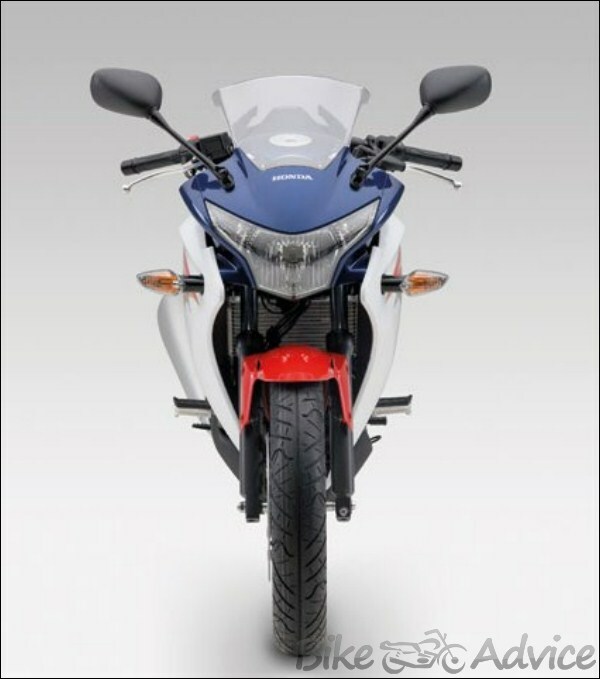 The new Honda CBR250R is equipped with 249.4 cc, 4 storke, DOHC, 4valve water cooled engine. With the Bore x stroke size of 76 X 55 mm, CBR250R is able to produce massive power of 26.4 bhp (18.7KW) which peaks @8500 rpm (Electronically controlled) which makes the power to weight ratio at 163bhp/tonne. 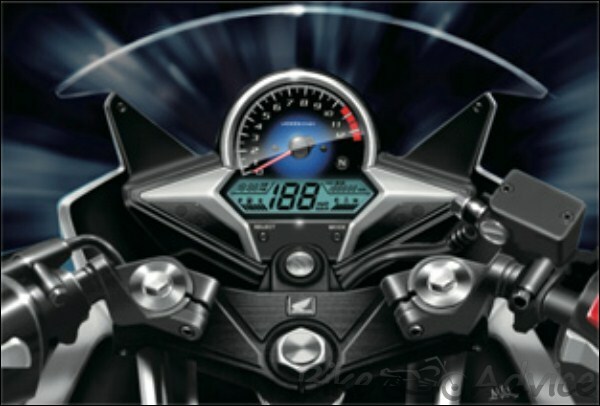 You don’t need to engine rev hard as the maximum torque of 22.9Nm produced @7000 rpm. As most of the power available at lower rev the bike will fire at traffic points. The fuel delivery is handled by Honda’s patented PGM-FI (Programmed Fuel Injection system) which ensures smooth and precise fuel delivery result more power with less fuel consumption. The fuel filter of CBR250R is placed outside the fuel tank to facilitate any intervention and reduce maintenance costs. The engine mass is kept as low as possible by elimination of unnecessary parts and keeping the moving parts like rod and piston light weight. The friction between engine parts also reduced to significant level which you can feel in engine noise. The Iridium spark plug to squeeze out maximum from every drop of fuel. You don’t need to worry about overheating of engine as liquid cooling system ensures the engine temperature at recommended level. 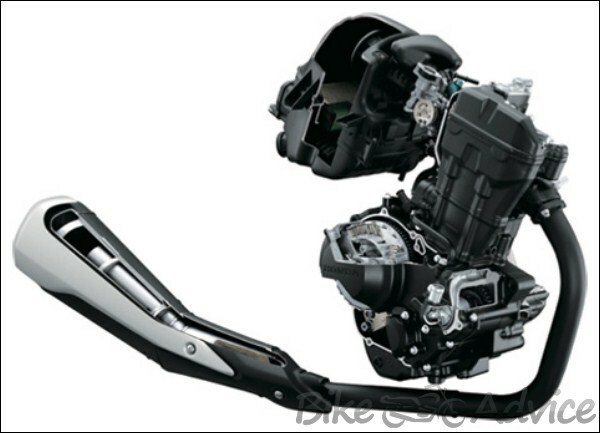 The Honda CBR250R got six speed gear box with wet multi plate clutch. The short to long gear ratio means you can quickly move into the next gear. The gearbox is designed to exploit the characteristics of the engine at the same time ensuring quicker acceleration and low fuel consumption. The gear shift feel is very smooth and precise. In order to reduce pollutant discharges, the CBR250R incorporates the latest technology in exhaust. The catalyst metal tri limit emissions of carbon monoxide, nitrogen oxides and hydrocarbons to a minimum. An oxygen sensor placed in the exhaust allows the electronic control unit to further reduce emissions by ensuring the best possible combustion. The CBR250R got twin spar steel diamond frame. This steel frame with perimeter configuration ensures optimum stiffness. 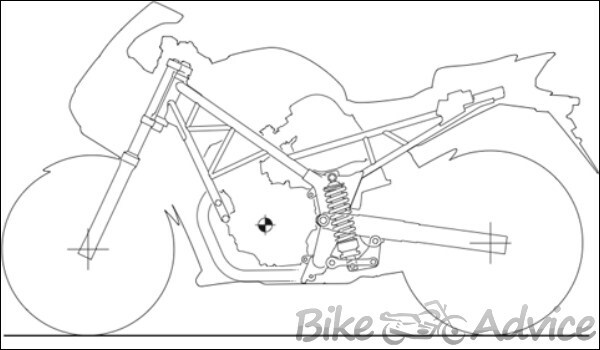 The perimeter frame means the steering head jointed to the swingarm at shortest possible distance which makes the frame lightweight and rigid. Though, the global trend is towards aluminum perimeter frame, Honda chose steel frame which is stiffer than aluminum. The higher level stiffness of the frame has improved stability and handling qualities of new CBR250R. The new CBR250R got hydraulic 37mm fork as a front suspension which offers travel of 130mm the rear got Pro-Link Monoshock suspension which offer 104mm travel. Thanks to the combination of the front and rear suspension, the CBR250R is able to deliver excellent ride quality with or without pillion. The new CBR250R got special treatment in tire and rim department. The new CBR250r got new tires and rim from its larger CBR series to ensure firm road grip in any condition. The front got rim size of 2.75 x 17 inch with tire size 110/70 x17 the rear got 4 x 17 inch rim size with tire size of 140/70 x 17. The combination of Chassis, Suspension and tires offers dynamic driving position on CBR250r that provides perfect control of the vehicle and which appears pleasant and comfortable on long trips leaving room for the concentration of the driver. It also made the bike weight limited to 161 KG. Honda is known for making safest vehicle in the world and that’s what Honda proved in case of CBR250R. The new CBR250R got C-ABS (Combined braking system with Anti lock braking system). This is the first time any 250cc bike having feature like C-ABS. The Combined Braking System is known for its effective braking control. It ensures the required combination of front and rear brakes which make sure that the braking torque generated in required manner on front and rear wheel. CBS with ABS (Anti lock braking system) surely going to do wonder’s in braking department. The new CBR250R got 296 mm disc with dual piston caliper for the front brake while the rear brake got 220 mm disc with single piston caliper. But the C-ABS system will come as option on CBR250R. The C-ABS version is 4Kg heavier than the non C-ABS version. 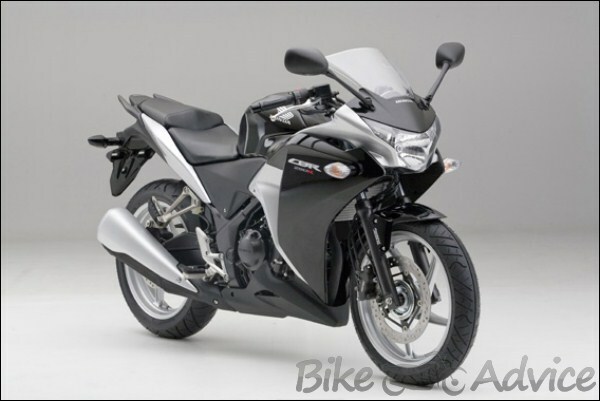 Front biased styling for motorcycle is trend in Japan and CBR250R has followed the same trend. The new CBR250R features a new full fairing and reinforces its sporty design with sophisticated and dynamic lines. In addition to its sporty look, the fairing proves comfortable for the driver side and weather disturbances. The new CBR250r got 55/60 watt light for its monoblock integrated headlight which makes the visibility better during night journeys. The front cowl and headlight is largely derived from the VFR1200F. The muscular tank and sharp rear tail look like derived from its larger sibling CBR1000RR. The concept of mass centralization is widely used while designing the bike. The seat of CBR250R is just 31 inch (784mm) above the ground level which means even 5 feet 6 inch tall rider will not face any problem for seat height. . In addition, a separated seat that enables the rider to enjoy a wide variety of situations from touring to sports riding. Apart from this the new CBR250R is hosting a storage space under the seat that can carry easily a “U” tools on board or other rain gear. The position of handlebars and footpegs are in line with the seat to support a sporty driving style. The riding posture of CBR250R offers optimum comfort and safety. The airy cockpit provides ample amount of air around head and shoulder. The new CBR250R got brand new multifunction LCD instrumentation panel which include speedometer, rpm meter, engine temperature, fuel gauge, clock and odometer. A neutral light is also there. With a brilliant blue LCD backlight, the display looks modern and futuristic. A special silencer with an irregular pentagonal section was chosen for the muffler design in order to reflect the cutting-edge design of Honda motorcycles. Honda is known for its gasoline (petrol) fuel efficient engine throughout the world and the new CBR250 is not expectation. The new CBR250R is able to deliver fuel efficiently of 27Km/liter (WMTC mode). With 13 liter fuel tank it can give you range of more than 350 kilometer which is good enough for long rides. 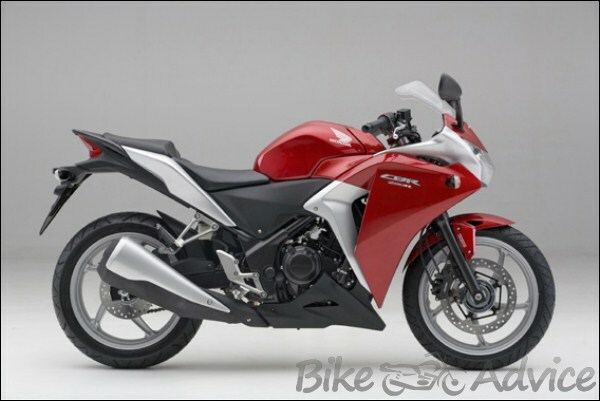 The new CBR250R will be available in 3 colors Red (similar to VFR1200F), the HRC Red-white-Blue and Black. As we seen in case of Honda VFR1200F the new CBR250R also going to have accessories list like a purpose designed tail pack, a carbon look seat cowl, wheel rim stickers, tank protection and a u lock designed to fit under the seat of the CBR250R. 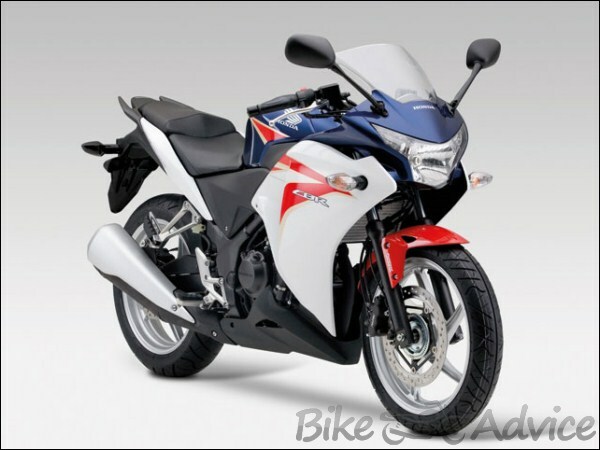 Honda CBR250R has big plan for India and Honda also said that they will produce the bike in India. It means that more localize part which will reduce cost dramatically. 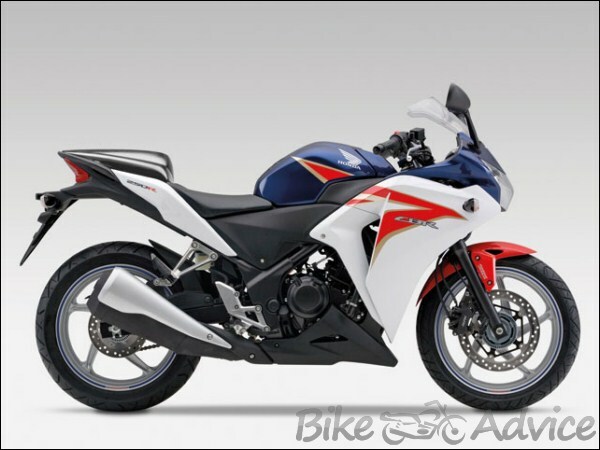 The Honda CBR250R is expected to launch in April 2011 in India with expected price of below Rs. 1.5 Lakh ex-showroom.